Reaction around Phnom Penh to the verdict against deposed first prime minister Prince Nor­odom Ranariddh was mixed Thursday, with Cambodians on both sides sounding off. Prince Ranariddh was sentenced Wednesday to 30 years in prison and ordered to pay $56 million. 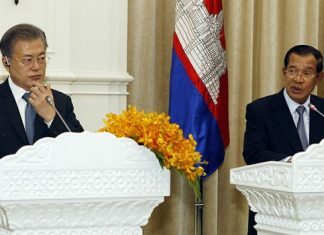 After a two-day trial, the Phnom Penh Military Court convicted the prince in absentia of conspiring with the outlawed Khmer Rouge to overthrow the government last July. 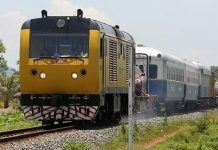 The court case was shown on Cambodian television Wednes­day and the verdict was reported by all the Khmer newspapers. 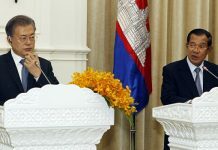 Cambodians interviewed around the capital had definite opinions as to the fairness of the trial. Others argued that the trial was legitimate and just but were unsure how it would contribute to a peaceful future. Another moto driver, Yem Yorn, expressed strong belief in the country’s judicial system. “I think that the trial was fair because the legal state has to comply according to the law,” he said.